A long sleeve shirt is a long sleeve shirt is a long sleeve shirt. Right? It's just a garment with extended sleeves that keep you warm. There's nothing all that special about most of the long-sleeved designs that you wear to work. However, this style may just be a ... (see full details) (see specifications) #TB0A1128015. A long sleeve shirt is a long sleeve shirt is a long sleeve shirt. Right? It's just a garment with extended sleeves that keep you warm. There's nothing all that special about most of the long-sleeved designs that you wear to work. However, this style may just be a little extraordinary. Not only does it look good, but it's made with your workday in mind. The Timberland Pro Men's TB0A1128015 Jet Black Wicking Good Long Sleeve Shirt does double-duty, keeping you both comfortable and making you look professional while you work. Working Person's Store approves, and you should, too. You can rest assured that this men's jet black shirt is made of materials created to make you feel comfortable. It's made of polyester, but this isn't your pop's polyester. Get that '70s leisure suit out of your head, man! No, this polyester is velvety to the touch. It's made of 4.5 ounces 100% polyester textured knit, so it will be durable and in it for the long haul. Additionally, it features 6.4 ounces 100% polyester mesh for to add breathability to your hectic workday. Hard work means getting a little sweaty, and that's fine. Perspiration is a sign that you're doing something right. Basically, if you're not sweating a lot, how do you know how hard you've worked? So, yeah, sweat away. However, sweat creates odor, which is definitely not a good thing. Luckily, this long sleeve men's shirt features breathable quick-drying fabric, and it's odor-resistant, so your sweat odors are stopped before they can begin. And this design dries quickly, so you will not worry about feeling all wet and grimy. The moisture-wicking technology also keeps you dry. Thank goodness. Working out in the sun can be nice, especially during a somewhat cool, spring day when the sky's clear, and there's a nice cool breeze. Well, maybe working isn't your ideal activity for such a day, but you make do. You know? Being out in the sun can be torture, but not with this Timberland Pro sweat-wicking shirt. It has built-in 50+ UPF protection, which is Ultraviolet Protection Factor. This measures sunburn protection, so it's pretty important if you work outdoors, and this shirt will protect you. The 50+ UPF indicates that this design resists letting approximately 98% of the sun's rays through its material. Want more? Of course you do, and you should get more! For added comfort, there's no tag. That's right - no more annoying little tab flapping at your neck, ruining your day. The tagless neck is easily one of the best new inventions in men's and women's clothing to date. Our lack of irritation proves that. We're talking about how this Timberland Pro black shirt will help you out of doors in hot weather, but what about cold weather? Especially your extremities, like your fingers. You'll appreciate the integrated thumb holes. These simple holes in the wrists allow you to put your thumbs in them, partially covering your hands. It's a minor addition to this Timberland Pro Men's TB0A1128015 Jet Black Wicking Good Long Sleeve Shirt - with big results. Place your order with Working Person's Store today to get the warmth and comfort required for a successful workday. 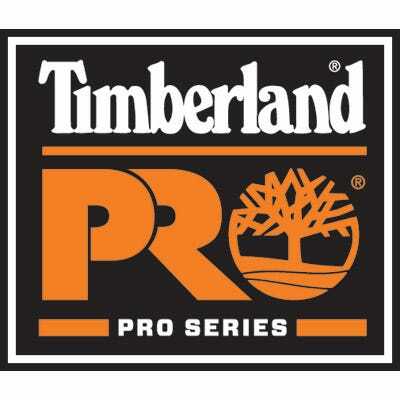 Timberland Pro Shirt: Men's TB0A1128015 Jet Black Wicking Good Long Sleeve Shirt is being added to your cart.